located next to the building. 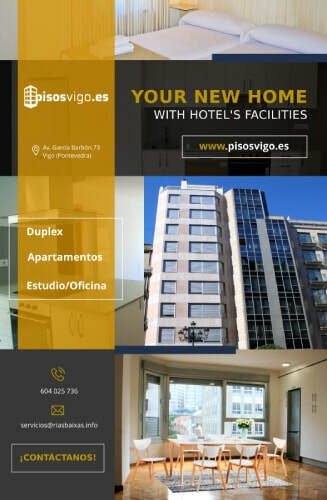 Come to Vigo and feel at home in our apartments full of comfort, luxury and tranquility. Our services guarantee a totally customized stay for you during your holidays in Vigo. Through our website and App you can reserve, modify / cancel your reservations, make payments and even have the invoice in your own account. For your convenience, you can make your CHECK-IN at the time you indicate and leave quietly on the day of departure leaving the key in the mailbox or in your own room before 12 noon, without negotiations or waiting. We do not want you to worry about anything if you come to Vigo with your little ones. We have a team of professional and experienced baby sitters at your service whenever you need them. 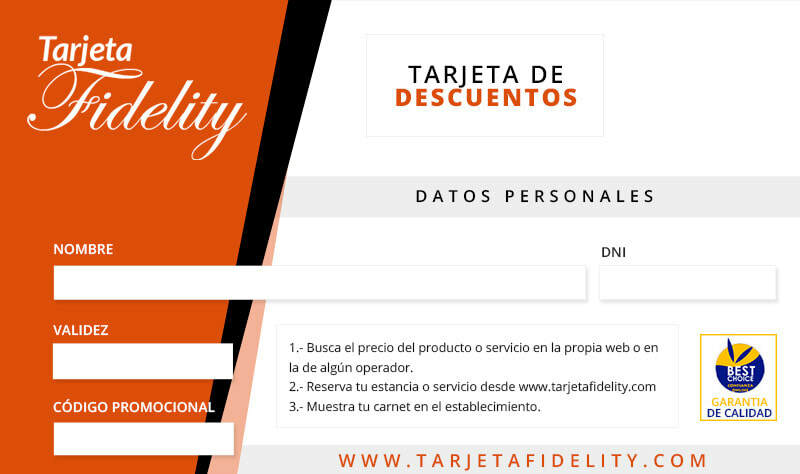 Download the FIDELITY CARD by Carnet Vip and enjoy important discounts.